"Oh, my God. Am I three? Am I third?" 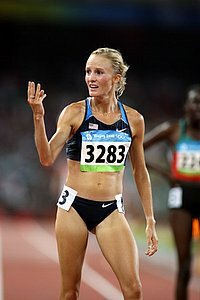 -American Shalane Flanagan after crossing the line in the women's 10k. Yes, she was 3rd thanks to a clutch American record of 30:22.22 in Beijing, which earned her the bronze medal.